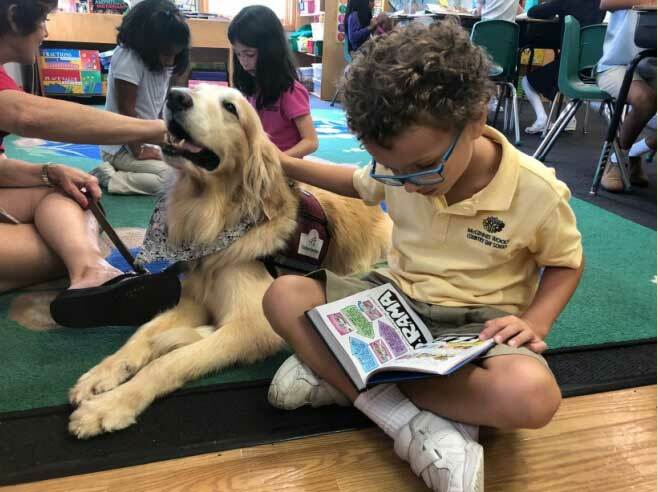 One of the proud traditions we have at McGinnis Woods is that of our 2nd graders partnering with Canine Assistants as they train their dogs to help those in need of a therapy dog. This is the 7th year that we have worked with the K-9 Kids! Program. The K-9 Kids! Program is a motivational reading program. 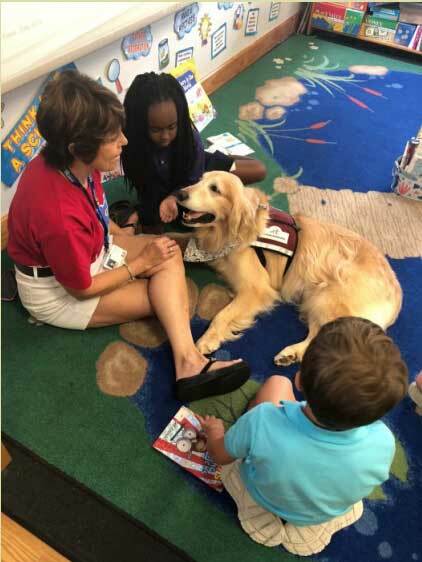 Canine Assistants service dogs and representatives visit different schools throughout the metro Atlanta area each week during the school year to listen to the children read. Children who are uncomfortable reading in front of their peers for fear that they might make a mistake are quite at ease reading in front of a dog. Reading to dogs often gives children the confidence needed to overcome challenges in reading. This program benefits the dogs and the students and is a highlight of every week! One of our favorite dogs is Borders. Borders has been visiting us for a few years and has a calm, friendly demeanor. He loves our students and we look forward to his visits! Want to Know More about McGinnis Woods? We'd love to talk to you! Visit us at a scheduled Open House, or request a tour.